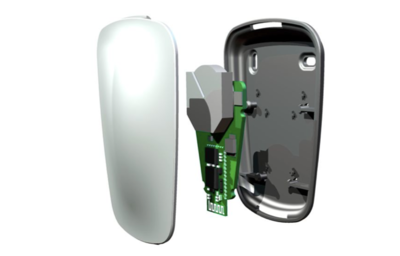 First Dutch mass producer of sensors using the new iBeacon platform promises to change the mobile experience forever. Glimworm IT an award winning App Development company in Amsterdam launched their Beacons business www.glimwormbeacons.com on January the 15th making them the first mass producer in the Netherlands. They teamed up with Tweetonig a 'concept engineering' firm in Rotterdam and Sven-Erik Haitjema a promising young embedded engineer to design and manufacture their own Beacon with a unique twist. 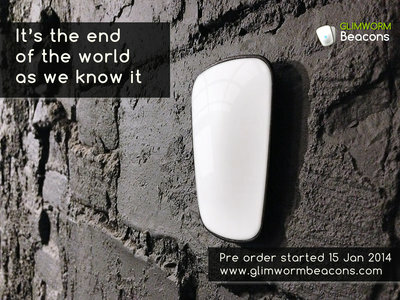 As opposed to the now established market leader Estimote, founded in 2012 by ex-Apple staff, the Glimworm Beacons are designed specifically to either “blend in or be branded”. While the Estimote is attractive, it looks like a small, rubber rock sculpture, the Glimworm beacons are white, smooth and glossy with a removable cover that can be manufactured in any color or even custom printed with a logo making it very attractive to brands who want to use the technology as added value to a customer experience. Amsterdam, The Netherlands- January 31, 2014 - If you don't know what a Beacon is, don't worry, you will. Soon they will be everywhere, little devices that use Bluetooth Low Energy (BLE) technology and the Apple iBeacon protocol that enables beacons to send signals to your smart phone up to 50 meters away. A recent rival to Near Field Communication (NFC) the iBeacon technology was integrated into the recent Apple iOS 7 update and works on iPhones starting with the 4s and late model Anroid phones and is bound to change the way you use your smart phone for just about everything by enabling super hot App trends like “geo-fencing, contextual messaging, proximity marketing and card-less payments. Enter Glimworm IT an award winning App Development company in Amsterdam who launched their Beacons business www.glimwormbeacons.com on January the15th making them the first mass producer in the Netherlands. They teamed up with Tweetonig a 'concept engineering' firm in Rotterdam and Sven-Erik Haitjema a promising young embedded engineer to design and manufacture their own Beacon with a unique twist. As opposed to the now established market leader Estimote, founded in 2012 by ex-Apple staff almost immediately after the iBeacon announcement, the Glimworm Beacons are designed specifically to either “blend in or be branded”. While the Estimote is attractive, it looks like a small, rubber rock sculpture, the Glimworm beacons are white, smooth and glossy with a removable cover that can be manufactured in any color or even custom printed with a logo making it very attractive to brands who want to use the technology as added value to a customer experience. Imagine walking into a store and receiving a welcome message on your smart phone then when you get closer to what you are looking for a coupon appears. When you go to the check out counter you use the coupon, pay with your phone and an app gives you loyalty points automatically and thanks you when you leave. 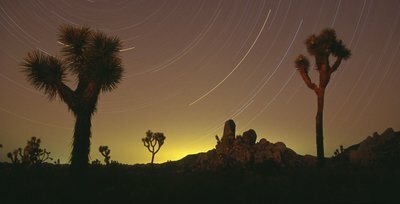 A seamless stream of information appears at all at the right places at the right time- just for you. This sort of integrated brick and mortar meets mobile shopping experience is what iBeacon technology is all about and it will change the way we receive information and interact with the things around us. The impact of this new technology will be massive and has many applications which extend far from large retail outlets and grocery stores where they are beginning to deploy Beacons in the United States. Shopkick has started a 100 store trial in the US and Apple themselves have rolled out to all their US based Apple stores. There are interactive gaming possibilities which are being explored by game companies and creative agencies, and the potential for museums, tourism, education, transportation, mobile payments systems and even super hi-tech industrial applications is huge. “We are only beginning to explore the possibilities” says Jonathan Carter CTO of Glimworm who hosted the first iBeacon Discovery Day in co-operation with developer community Appsterdam on January 11 where they brought together 40 developers to test the first ten prototypes. To explore possibilities and limitations they gave the developers specific challenges like “Create a Museum App using Beacons” and documented the event in a short video (just search for iBeacon Discovery day in YouTube) that shows the atmosphere on the day as well as App demos and interviews with industry leaders talking about the future of iBeacons.